This is a continuation from 25th Dec'18 post and then follow-up with 10th Mar'19 post. Based on STI Index, if we have taken new position at 25th Dec is more than 8% gain. And if 10th Mar it will be 4.5%. Not surprisingly my portfolio benefited from it as I continue to stay invested and more. 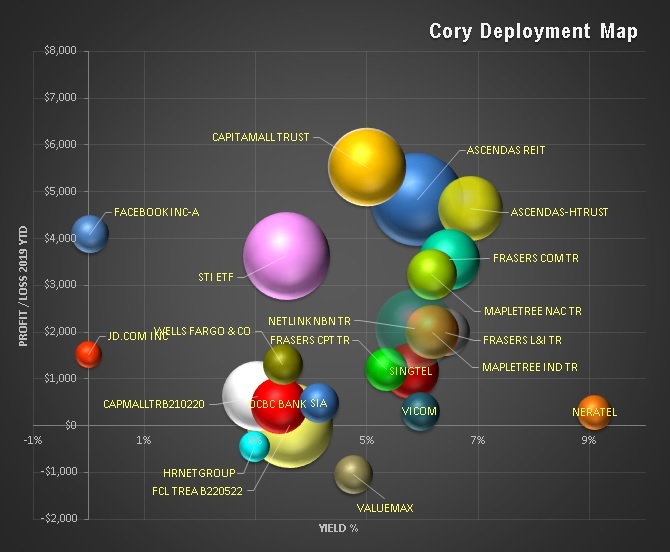 Reits and Trusts did well during this time. Frankly, the broad market did good too.. 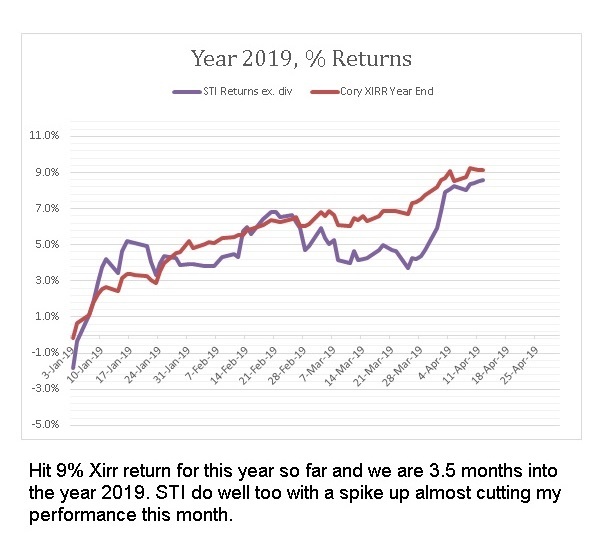 If I do away with Fixed investment, Xirr hits 10.7% using end date at year end to account for annualized full year without further gains. Closely correlated to current 10% profit range. Assuming STI Index continues to climb which is my personal expectation (DYODD), Index level of 3600 appears to be potential. That's a 8% climb from here. Is that possible ? A check on CMT will reach 4.6% yield. Ascendas will be 5.1%. In a ever lowering yield world, investors could still be happy. So It can happen. Will it ? 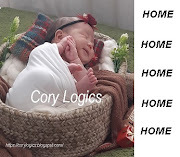 Cory Diary : This Time is Different ... Really ?